Luxfer Gas Cylinders, which is the world’s largest manufacturer of aluminium and composite gas cylinders, is investing £500,000 into its East Midlands site, as it celebrates over 120 years of trading. The firm will soon be expanding its base on Colwick Industrial Estate; which currently employs more than 200 people from the region. The major cash injection will boost Luxfer’s alternative fuel team, which has increased its production over the past 12 months of bespoke CNG and hydrogen-power systems for buses and other types of commercial vehicles. It will also bring up to 10 new roles to the business, as well as investment in new manufacturing equipment. David Sparkes, operations director at Luxfer Gas Cylinders, said: “Luxfer is proud to have over 120 years of history and heritage in the industry, and part of that huge success is having quality and innovation at the very heart of what we do. The company boasts six sites around the globe including Nottingham; Graham, North Carolina; Riverside, California; Gerzat, France; Shanghai, China; and Calgary, Canada. In addition, Luxfer is involved in joint ventures in Oklahoma, USA and Delhi, India. It specialises in creating high-pressure aluminium and composite gas cylinders, which are used in all walks of life – including for medical life support, and by firefighters as extinguishers and Self-Contained Breathing Apparatus (SCBA). 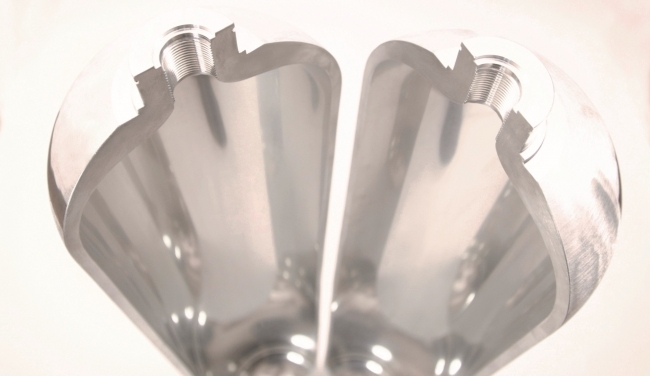 Luxfer cylinders are also used in the aerospace and beverage industries; with the Nottingham base manufacturing up to one million cylinders each year. Luxfer Holdings, which includes Luxfer Gas Cylinders, is listed on the New York Stock Exchange and has seen increased demand across its various industries; with a reported revenue of $441.3 million for 2017; a $26.5 million increase from the previous year. Luxfer was established in 1897 specialising in glass prisms, as the brainchild of British-born inventor James Gray Pennycuick. It was first launched as the Electrical Glass Corporation, and was later renamed the Luxfer Prism Company, offering windows, skylights and sidewalk lights. During World War I the company was commissioned to produce screw pickets to support barbed wire on the battlefields, and soon after Luxfer added metal fasteners and formed-metal construction components to its product line, changing its business name to Luxfer Limited. In 1958, Luxfer produced the world’s first cold-extruded, seamless, high-pressure aluminium cylinders, and in 1965, sold its remaining non-cylinder product lines to concentrate on the rapidly expanding cylinder business; becoming Luxfer Gas Cylinders.